The best Futsal players in the world are in Thailand for the Futsal World Cup and, not surprisingly, football superpowers are just as strong indoors as they are outdoors. Bangkok Post photographer was at Hua Mark Indoor Stadium yesterday for the Argentina-Serbia and Russia-Czech Republic matches. 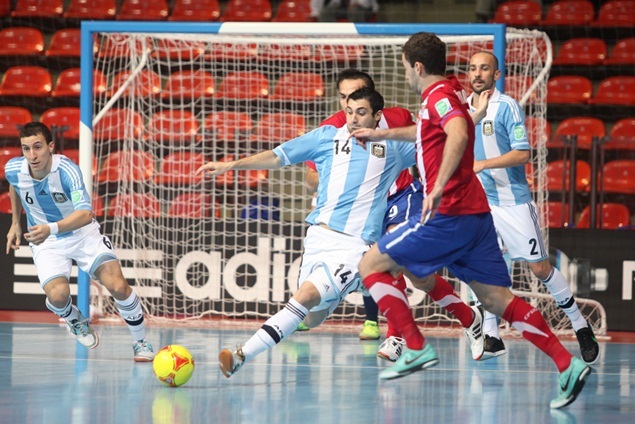 Here is action from the Argentina-Serbia match. The best Futsal players in the world are in Thailand for the Futsal World Cup and, not surprisingly, football superpowers are just as strong indoors as they are outdoors. The quarter-finals begin tomorrow (not in the unwanted Nong Chok arena, unfortunately) and they feature some great matches. The futsal action wasn't the only thing that interested Pattanapong yesterday. 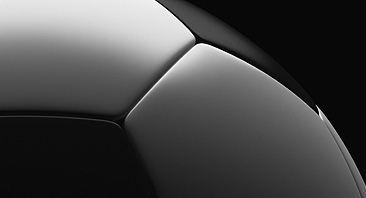 Interest will likely be centered on Brazil and Argentina, but the Russia-Spain contest is not to be missed either. Russia has still not conceded a single goal in the tournament. In the other two matches, Italy takes on Portugal and the Ukraine meets Columbia. The semi-finals are scheduled for Friday and the final for Sunday. In yesterday's second round matches defending champion Brazil looked unbeatable as they hammered hapless Panama 16-0 in Nakhon Ratchasima. Four-time World Cup winners Brazil maintained their perfect record in Thailand. It is the biggest win so far at the 2012 finals, matching Russia's win over the Solomon Islands. Argentina had a much tougher time at Hua Mark Indoor Stadium, where the team kept its hopes alive of winning their first world title with a hard-fought 2-1 win over Serbia. Serbia gave Argentina a scare when they cut the deficit to 2-1 with three minutes to go, but soon lost a player through a second yellow card and the match was over. A Russian player shows some clever footwork in the match against the Czech Republic. lso at Hua Mark, Russia beat the Czech Republic 3-0 to set up their mouth-watering quarter-final duel with Spain. The eastern Europeans were a class above their continental rivals and extended their run of successive clean sheets to four matches. Back in Nakhon Ratchasima, Italy booked its place in the quarter-finals with a 5-1 win over Egypt. ''If you look at the scoreline it might look like it was an easy match for us, but it wasn't,'' Italian coach Roberto Menichelli said.